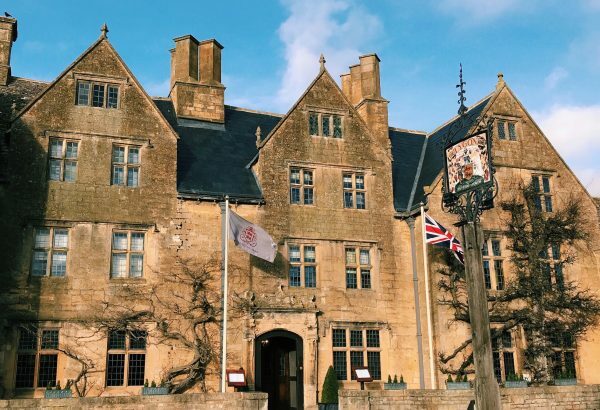 Situated in the picturesque village of Broadway, the Lygon Arms has roots dating as far back as the 1300s. 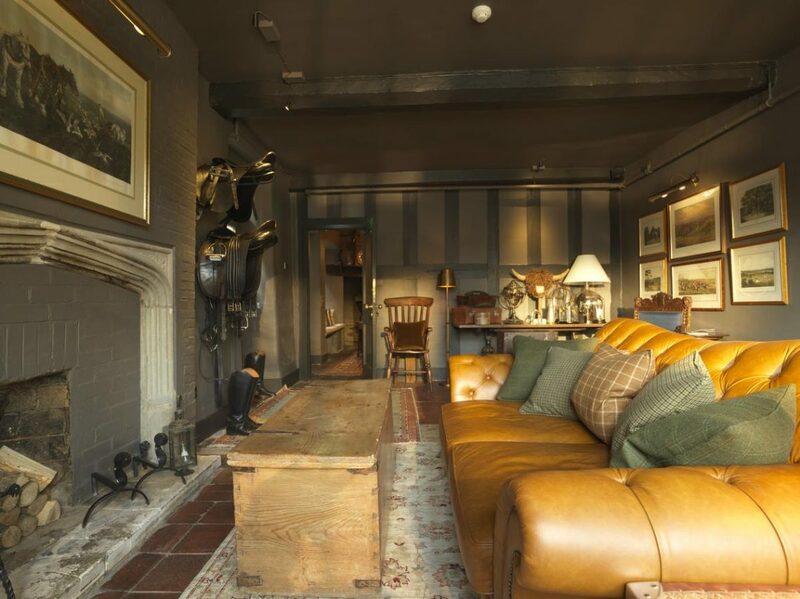 As we pulled up to the coaching inn, very little gave us a clue to the contemporary luxury that was behind the doors. The standard hotel reception set up is replaced by free standing antique desks in a warming panelled room leading into a beautiful bar. Greeted with friendly staff and homemade fudge as we booked into our room. Richard Burton and Elizabeth Taylor have stayed here, as well as Prince Philip and many other dignitaries and royals, so I felt right at home. The staff are on hand to valet cars, guide you to your room and advise on local attractions. 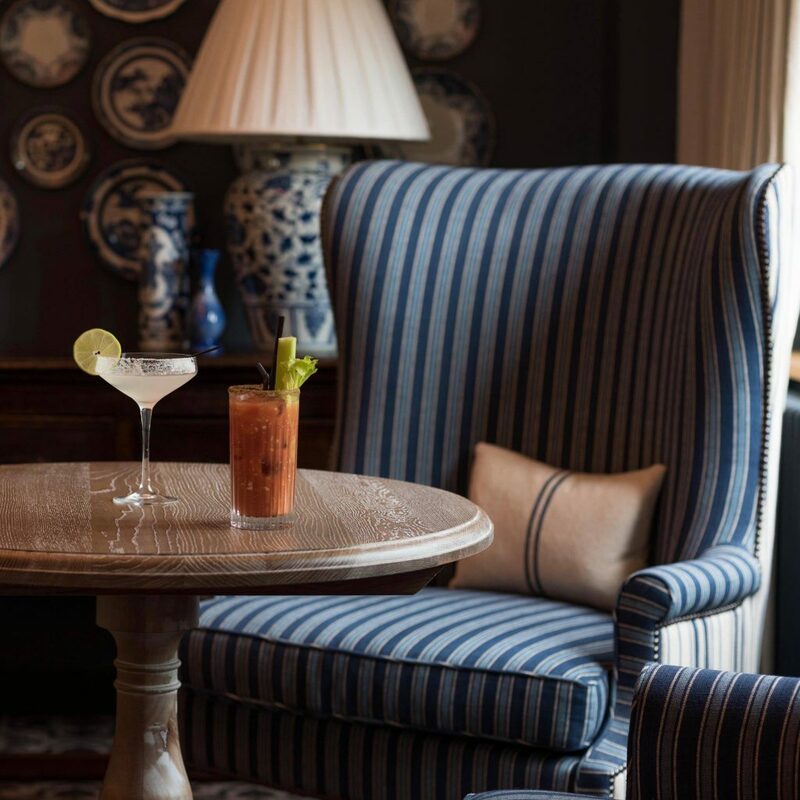 Facilities include a beautiful courtyard terrace, that twinkles with fairy lights at night, a private panelled dining room where Cromwell stayed the night before the battle of Worcester and our favourite part of the hotel; The Spa. We had booked treatments for later in the afternoon and took the opportunity to relax in our room with champagne and home made truffles before we wandered across the courtyard to have our facial and massage. 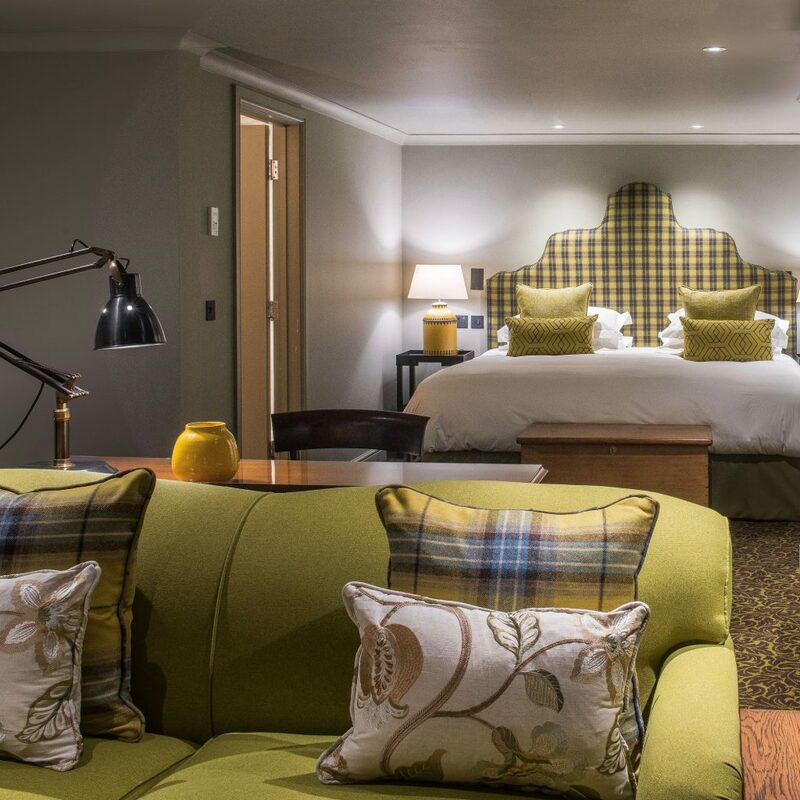 The 86 bedrooms are stylishly comfy, all a comforting mix of contemporary meets classic with muted tartan bedheads and warm colours. Many are in the main building; additionally there are 13 large courtyard rooms, six rooms in adjoining cottages and 31 in two modern wings. We stayed in a courtyard room, one could describe it as a large suite rather than room if I was honest. Spacious and airy (rather different to the main building in some ways) with the same touches, however the glass panelled doors swathed with semi-transparent white drapes lent a soft light to the sitting area and sumptuous beds. The dove grey walls complimented the warm mahogany furniture, stepping into the bathroom was an absolute treat, maintaining the palest grey walls, the mosaic floors were a wonderful setting for an oversized bath tub, sparkling chrome and a separate walk in shower behind a sheet glass wall. The towels and the bathrobes are wonderfully soft and thick, once we had wrapped ourselves in them and sipped champagne for a little bit on ever so soft overstuffed sofas, we tip toed the short walk (next door in our case) to the spa. The arched entrance was framed with vines that created a doorway into a clean and modern softly lit reception area. H had a full body massage and I had an anti-aging facial with Oskia products (I could not possibly say how many they used as I dosed off). My facial was an hour of absolute bliss, topped off with the scalp massage that dreams are made of. Following our treatments we sat by the pool crowned with a glass ceiling and balcony that led to a roof top terrace via another stunning bar. 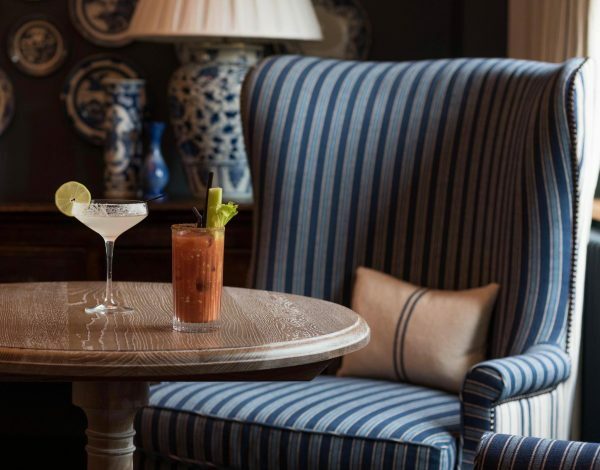 With the recent makeover, the food and drink offering has become considerably more relaxed. There are two new bars, and two restaurants. 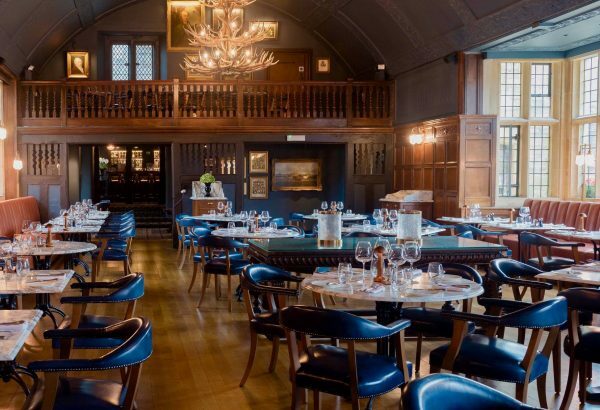 We ate in the main restaurant, which is a large, handsome room with a stuccoed barrel ceiling; a brassiere feel has been created with banquettes and marble-topped tables to provide a rich back drop of peacock blues and burnished gold. The highlight of the room however is the picture wall, this features over 30 of the hotel’s painting, providing an explosion of colour as high as the ceiling. 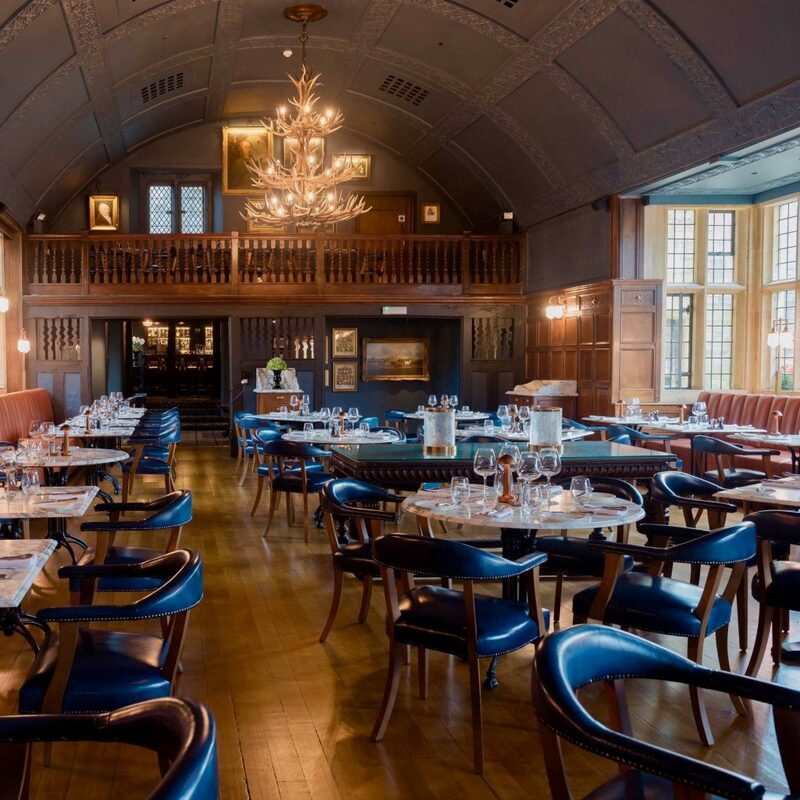 At the far end of the dining room, The Lygon Arms have created the most beautiful cocktail bar, that has a 1930s feel to it whilst carrying the blue tones through from the dining room. We were spoilt with wonderful cocktails to start, Edmond the gentleman that served us suggested a local Gloucester Rose wine called Three Choirs to compliment our dinner. Our three courses of food was lovely, albeit the dessert course of sticky toffee pudding, my absolute favourite was the Bakewell tart, accompanied by a side of croissant ice cream, what a perfect end to the meal. I have to admit though; breakfast, served in the main restaurant again, absolutely stole the show. A gorgeous buffet spread of pastries, drop scones, cheeses, charcuterie, stewed fruits and more, with cooked dishes to order such as avocado with poached eggs, or in my case scrambled, just the way I like them. Presented below the picture wall, this could quite easily be the best breakfast I have encountered in a very long time. Being the willing volunteers we ordered breakfast from the menu as well as sampling the buffet. H succumbed to the full English whilst I had the scrambled eggs and avocado on sour dough. 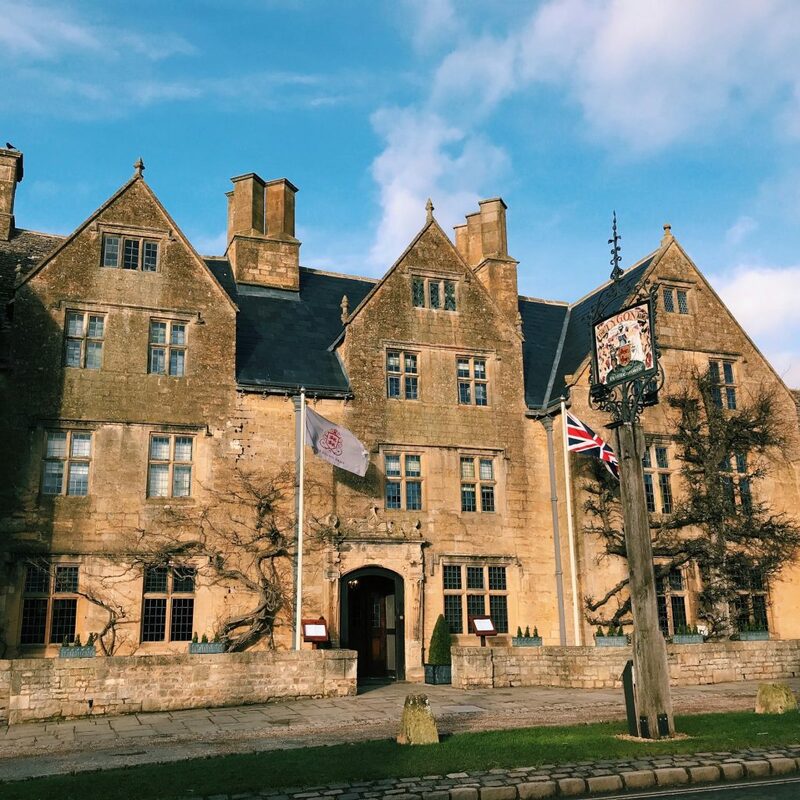 Sadly our stay did not end in the country walk that we had hoped for due to a downpour of rain, but next time, as another visit to the The Lygon Arms is definitely on the cards . . .